Hydrology9 only has one button press it three times to turn it on, you then push it 1 more time and it will start heating up. To change the temperature of the device, it needs to be on. It can be heating up or held at a set temperature. Each time you press it will rise upwards to the next highest setting. The temperature for the 5 preset settings are as followed. 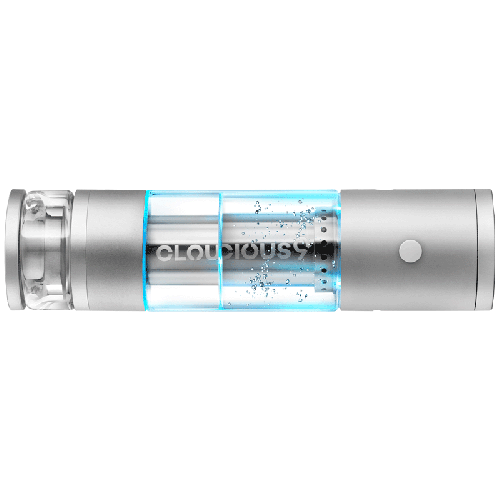 Cloudious9 intentionally has the highest setting set to above the point of combustion for those who want a bigger hit. The Hydrology9 has five preset temperatures that are indicated by 5 different colored flashing lights. Blue is the lowest temperature setting and red is the highest. In order to turn the device on you need to push the power button quickly three times. Then to choose a heat setting you press the power button again once. This will activate the Hydrology9 and begin heating it to the previously set temperature. If you want to switch through to a different heat setting you just push the power button again, each time your press it, it will flash a different color. The Hydrology9 will continue to flash one of the five colors until the temperature has reached the current setting. After about 50 seconds the LED lights will stop flashing and will turn solid green. Solid green means the Hydrology9 is ready and you should begin inhalation. It is recommended that users leave for 3 to 5 seconds in between each inhalation. This, to allow the oven to get back to the desired temperature. Each session will last 2 minutes, followed by a 60 second cool down. The solid green light will turn flashing blue then solid blue for 60 seconds. After, the blue light turns off you can press the power button to start a new session. 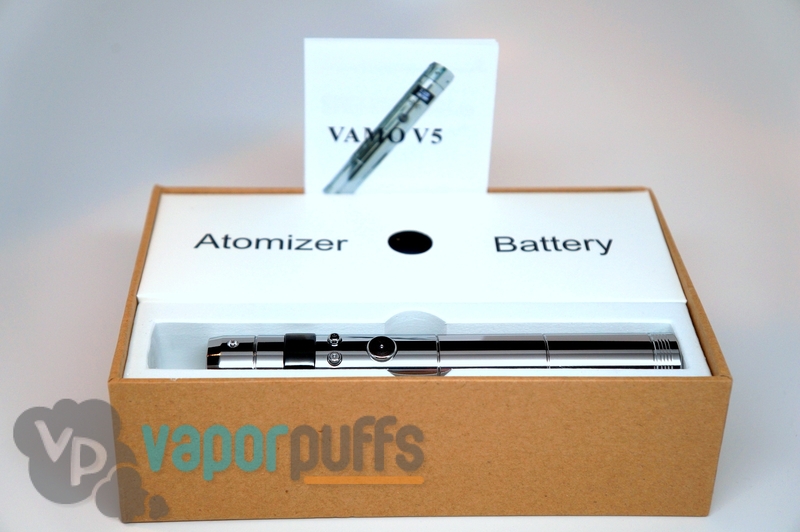 In case, you are a vaporizer geek that wishes to have the cutting-edge-day and best unit on the market. You’ll want to get your fingers on the Hydrology9. The Hydrology9 is built with an internal 2000 mAH Lithium Polymer battery that lasts around 11-15 sessions it 2 minutes per average session, takes two to three hours to get back up to full charge. The vaporizer industry become starting to get boring, besides a few mentions. Furthermore, this guys rock the industry with innovation, pushing the boundaries. It´s definitely a must! So, pack your favorite Herbs, adjust the vents and temperature. Yes! you are ready to Puff! A big round of applause to the designer of this well-made vaporizer! 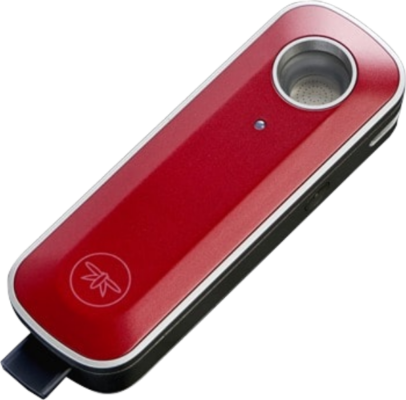 A step by step on how to use the Firefly 2 Vaporizer, and to get the perfect hit from one of the Best vaporizers in the market. Well, the answer to that, is right here! Before using your Firefly 2 you may want to install and update the software from your phone. This is not necessary, but it is advisable. The process is quick, and it will give you more control over the temperature. 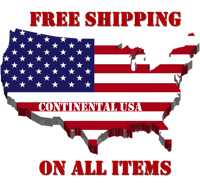 You can find instructions on how to install the software at the end of this guide. 1. 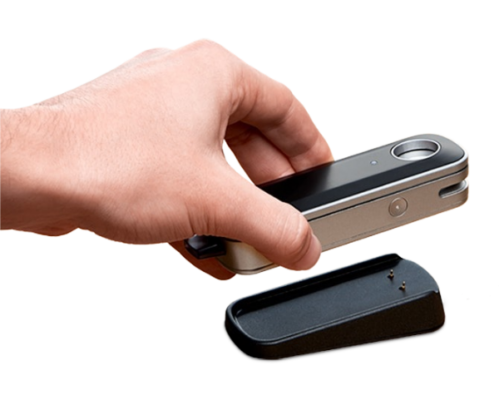 To use the Firefly 2 vaporizer, lift off the top cover – it’s magnetized and should pull off easily. Your favorite dried herbs will be put into the circular heating chamber. 2. How much you pack in, and how finely ground it is, greatly affects how the Firefly hits. I would recommend grinding it up very coarse, coarser than you would think. 3. Sprinkle it into the heating chamber loosely, then gently tamp down with your finger, but do not push it in hard. Be careful not to over pack the chamber. Packing it in this way helps deliver a smoother and more intense hit. Having said that, it also works really well if you are lazy and decide to just shove an unground up nug in there, when you don’t feel like or can’t use a grinder. 4. After loading it, place the top back on the Firefly 2. You should feel the magnets pull it into place with a satisfying snap. 5. YES! You are now ready to hit your Firefly 2! 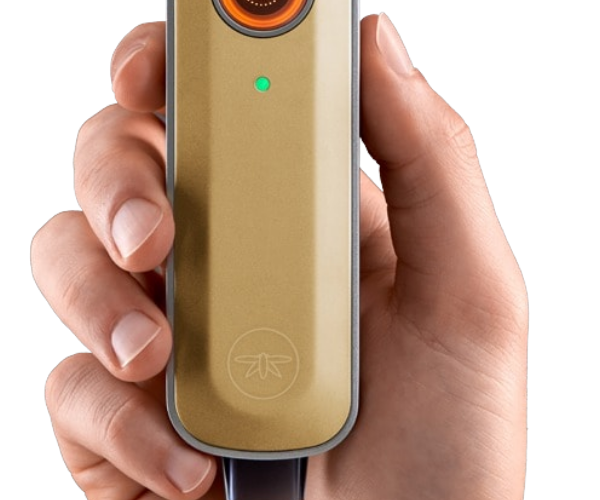 Pick the vaporizer up in the palm of your hand and place your index fingers on both of the two capacitive buttons on the sides. Hold your fingers there, until you see the LED on top turn solid green. Keep holding the buttons, put your lips on the mouthpiece and start to draw the air in. Many convective vaporizers require you to pull very softly to get the best hit, making them difficult to use, as they only have a small margin of error. However, the Firefly 2 requires a very natural, effortless draw. Not too hard, not too soft – imagine you are smoking a pipe. It’s easy to get the perfect draw – especially if you don’t overthink it. 6. As you hit it, you will notice the flavor change after a few draws. Once you begin to taste burnt popcorn, it’s almost done, and you need to reload the bowl soon. Opening up the Firefly 2 vaporizer, and giving the heating chamber a little stir will let you get a few more draws out of it. If you don’t have anything available to stir it with, give it a few light smacks on your palm to move what’s inside around a bit. 7. While you are using your Firefly 2, make sure you are always charging the extra battery! 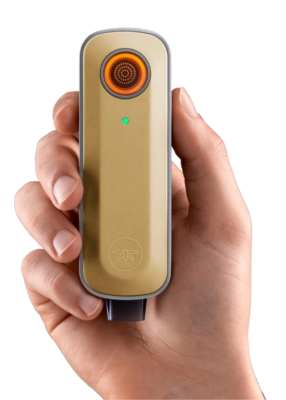 The Firefly 2 comes with two, so if you charge one while using the other, you’ll never have to prematurely end your session because the battery ran out. 8. After using the Firefly 2 vaporizer, make sure to clean it thoroughly according to the instructions in the box. Cleaning the Firefly 2 is easy, and even easier if you do it right after finishing your session. If you neglect it, the heating chamber can get sticky over time. Every once in a while, lightly dampen some lint-free cloth or paper with rubbing alcohol. Then gently wipe clean the inside to keep it in great condition so you can use it for years to come. 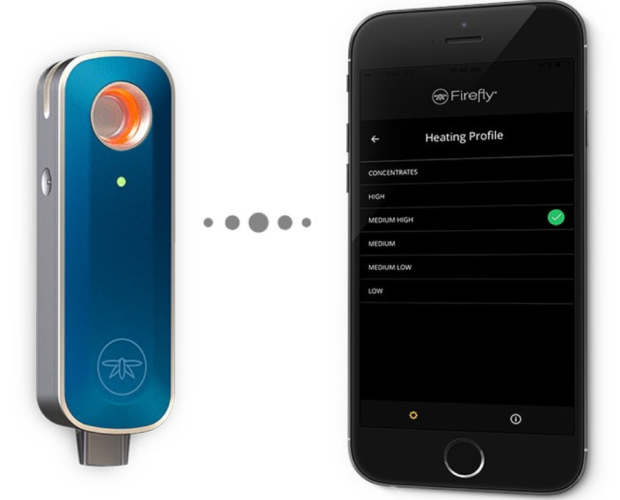 Install the “Firefly Vapor” app on your smartphone from the iTunes app store or Google Play. Make sure your phone has Bluetooth on, turn on the app, and follow the instructions on screen. 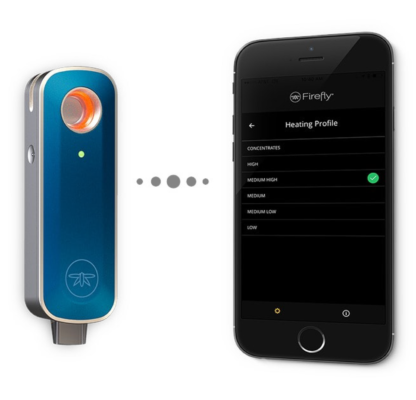 You now have access to settings that allow you to completely fine-tune your Firefly 2 vaporizer. After selecting a temperature setting, you can now adjust the power curve to modify the heating profile. 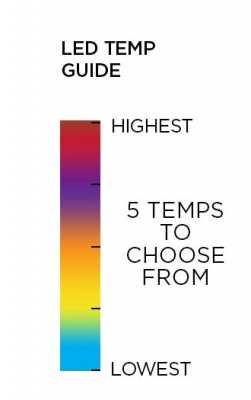 A hotter setting will hit harder, and a lower one will be tastier longer. But be careful, as the hottest setting with the power curve on max is just about hot enough to cause combustion, and too low a temperature will not give satisfying draws. Play around with it to find your preferred sweet spot.